In this unit we will investigate the Earth's surface and how we find locations on it. 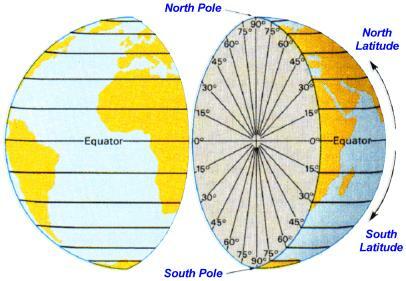 Earth's coordinate system is based on lines of latitude and longitude. The basics of this system are covered in the virtual lesson contained within the map to the left. To activate the file, click on the map. These internal angles are measured from a point on Earth's surface, into the core, and back to another point on the surface. Latitude and longitude are measured in degrees on a world map, but when looking at smaller areas, each degree can be further divided into 60 arc minutes ( ' ), and each arc minute can be separated into 60 arc seconds ( " ). See the diagrams below to see a visual representation of these angular increments. The world is divided into 24 time zones. Each has the same local time of day, however the location on the west side of the I.D.L. is a full day ahead of the location on the East side of it. The Earth rotates 360 degrees of longitude once in a 24 hour period. That means Earth rotates at a rate of 15 degrees of longitude per hour. This is the reason that for every 15 degrees of longitude traveled on Earths surface, there is a 1 hour time difference. West is Earlier and East is Later (WEEL). The boundaries for each zone do not always run perfectly along lines of longitude, as there can be political and/or geographic reasons for official world time zones to wander off lines of longitude. 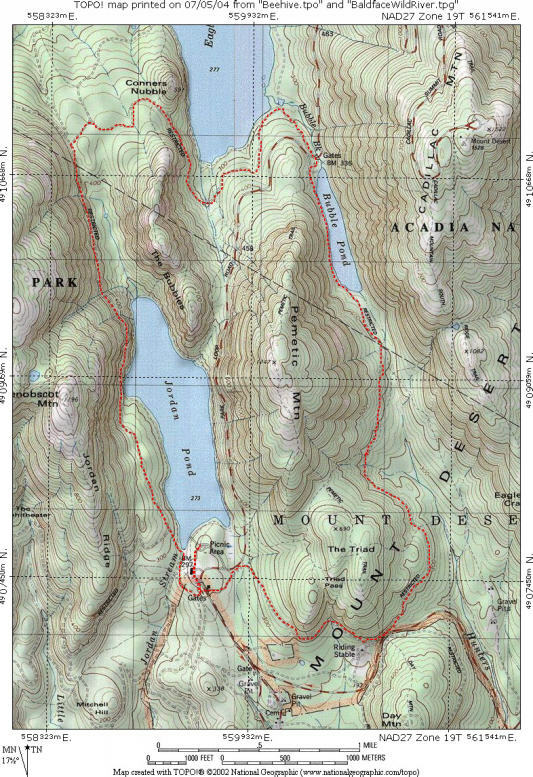 Your goal should be to learn to see topographic maps as 3-D images of landscapes. To help build this skill... watch this quick video below. Use the pencil icon to draw the 40, 50, 60, 70 and 80 degree isotherms, then click the "Draw Line" button to have the simulator draw the correct lines. Be sure to carefully check your lines for accuracy. "So long as I get SOMEWHERE!! !," Alice added as an explanation.